July every Saturday, We will be held a BUTOH dance performance. All four times, I change the content. Cyberpunk SF Butoh.Ultimate stylishbody representation. 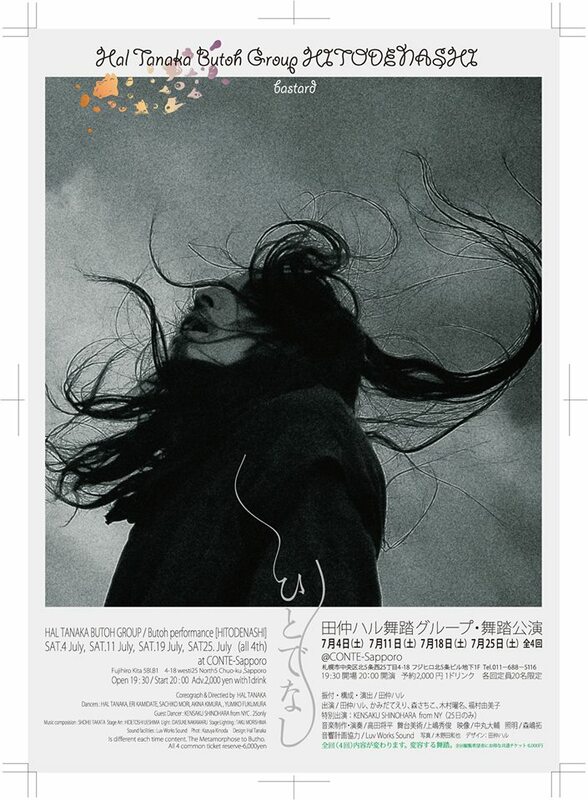 Butoh / Hal Tanaka, Eri Kamidate, Akina Kimura, Sachiko Mori and more..